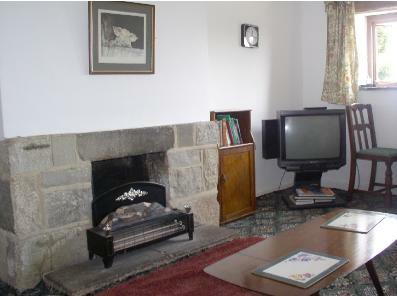 Our two self-catering fully furnished cottage flats have been popular since the 1980 conversion. The Mistal, so named because for centuries it was the cattle milking area, is suitable for the disabled having a wheelchair ramp to the front door. It has two spacious bedrooms, one double and one with three single beds. There is also a bunk bed in a curtained alcove. 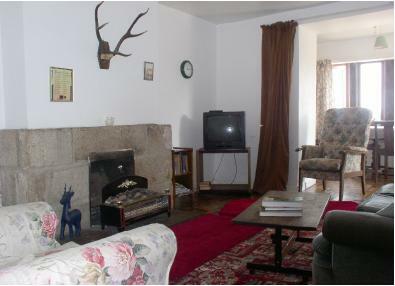 The sitting room is large with a dining extension in the lean-to that once stabled the farm horse. It has colour TV, mullioned windows and extensive views. The kitchen is small but has an electric cooker, kettle and toaster, microwave oven, fridge, stainless steel sink and breakfast table. The bathroom has a wheelchair friendly shower, toilet and washbasin. The Loft, prieviously the hay storage portion of the barn, is similar. It is approached via barn steps. The sitting room is smaller and so is the double bedroom but its elevated first floor position enhances the view.